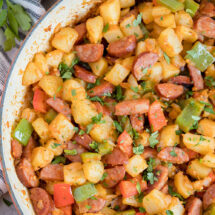 Smoked Sausage and Potatoes Hash is an easy to make skillet recipe that is a great meal for breakfast, lunch or dinner! Made with smoked sausage, potatoes, bell peppers and onions, it can be served on it’s own or topped with a fried egg for a hearty meal. 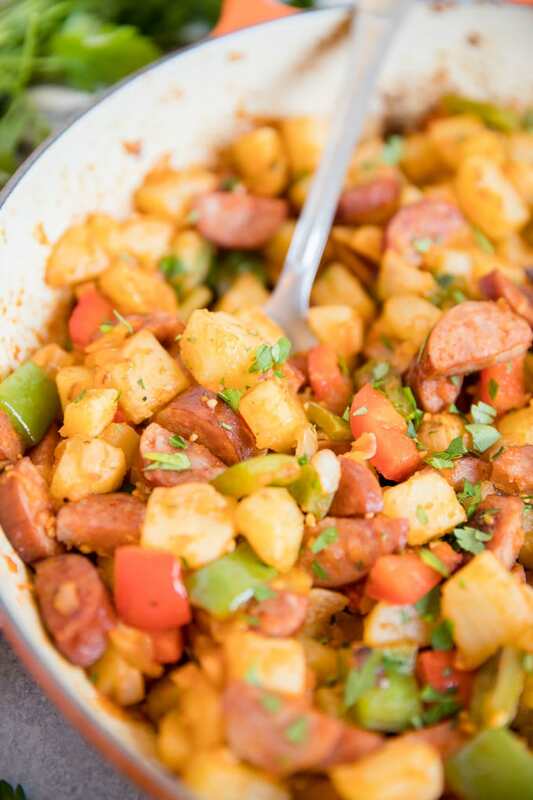 This is one of our favorite smoked sausage recipes, along with my Smoked Sausage & Apples Sheet Pan Dinner and One Pan Creamy Tortellini and Smoked Sausage. 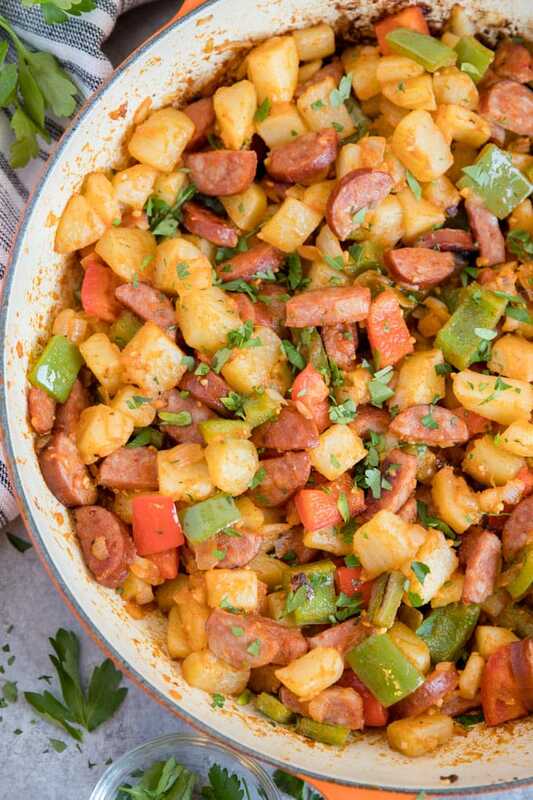 Sausage and potatoes go together like peanut butter and jelly. They just compliment each other so well! I love cooking with smoked sausage because it has so much flavor. It’s rich and smokey and salty, so it goes great with foods that need a little flavor boost, like potatoes! 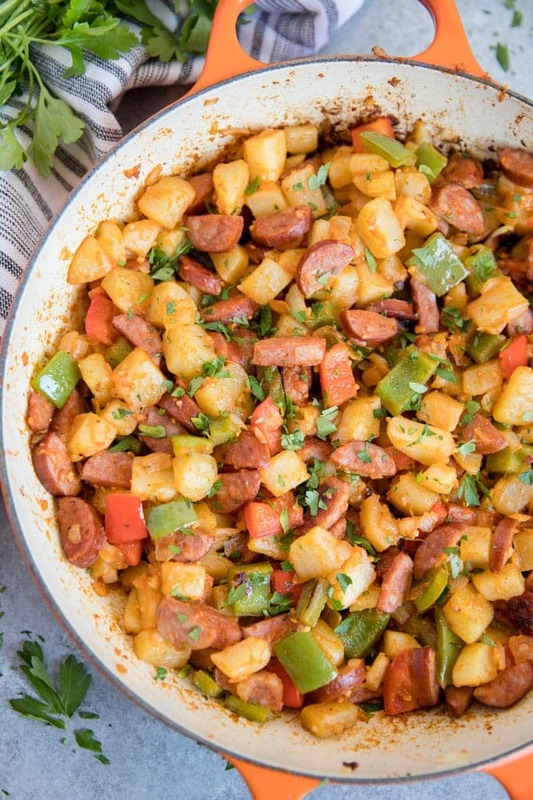 In this potato hash recipe, the potatoes are cooked on their own for a bit, then finished off with the sausage, onions and bell peppers, plus some smoky paprika for another layer of flavor. 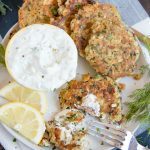 I love easy recipes like this, because this are perfect for busy weeknights, or for a lazy Saturday morning. Start by melting some butter in a large, nonstick skillet. You can use cast iron or stainless, but I have found that potatoes are one of the few things that just stick easily to those types of pans. Fill the pan up with some cubed potatoes and season them with salt and pepper. Remember that you’ll be adding that salty yummy sausage in a bit, so go easy with the salt. Keep a close eye on the potatoes, stirring them almost constantly for about 7 minutes so they don’t get the urge to stick to the bottom of the pan. Add a generous handful of diced onion to the skillet and cook for several minutes. Stir in some bell pepper and minced garlic and season everything with paprika. Continue cooking and stirring until all of the vegetables are nice and soft. Serve on it’s own, garnished with fresh minced parsley, or top each serving with a fried egg. WHAT IS THE BEST WAY TO COOK SMOKED SAUSAGE? When you buy smoked sausage at your grocery store, they already fully cooked! So you could really just heat and eat if you like. Slicing and frying is the best way to caramelize the sausage and add the most flavor, but smoked sausage can also be baked or cooked in a soup. Melt 2 tablespoons of butter to a large skillet over medium heat. Add the cubed potatoes, season with salt and pepper and cook for 7 to 10 minutes, stirring occasionally, until they are about halfway cooked through. Add the onion and sausage and cook for another 3 minutes, stirring occasionally. Add the bell peppers, garlic and paprika to the skillet and stir. Reduce the heat, and continue cooking uncovered until potatoes are cooked through; about 10 minutes. Garnish with fresh minced parsley and serve immediately. For a hearty breakfast, serve topped with a fried egg. 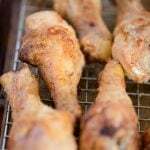 *I recommend using a nonstick skillet for this recipe, if you have one. A regular cast iron would work great, too. I have had trouble with the potatoes sticking to enameled or stainless steel pans.